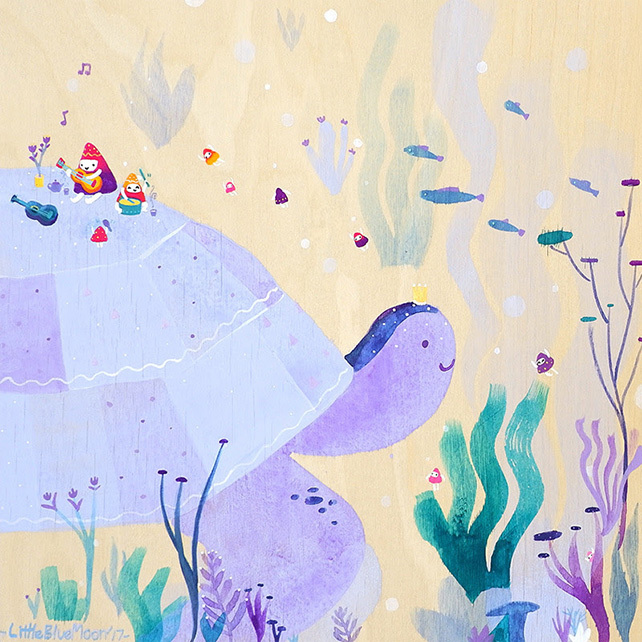 A collaboration by Singaporean emerging artists Little Blue Moon (QQ Lee) and MaryAnn Loo, exploring the dynamics of alternate and coexisting viewpoints, through their whimsical petite paintings. 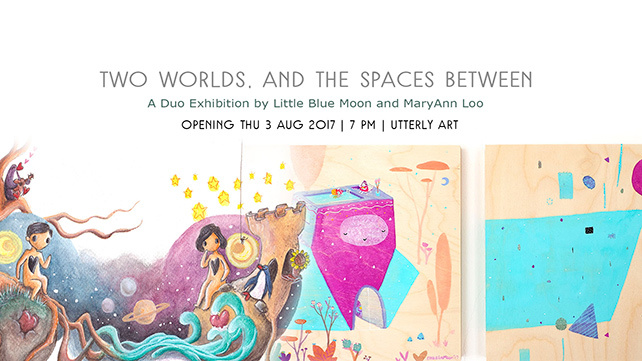 “Two Worlds, and the Spaces Between” is their first duo exhibition, and a presentation of viewpoints to art forms and storytelling. QQ creates an open-ended “Space” between the audience and her works by pairing narrative and abstract paintings. Each pair explores how formal elements of art can be contrasting, and yet harmonising. At the same time, the narratives present alternate viewpoints to our world through the eyes of small beings residing in whimsical habitats. MaryAnn explores themes of longing and separateness in her narrative watercolor paintings. Drawing from her own personal experiences and stories, her whimsical artworks toe the line between the illusory nature of romance and the truth about love and connection.